There were so many people flocking in and out of this shop- it was crazy! 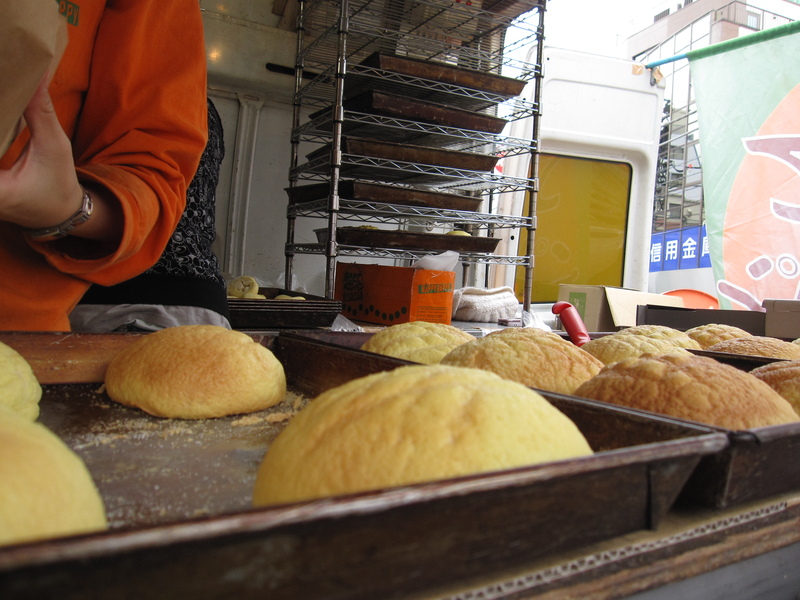 They sell a lot of baked items mostly with red bean fillings and seasonal flavours. 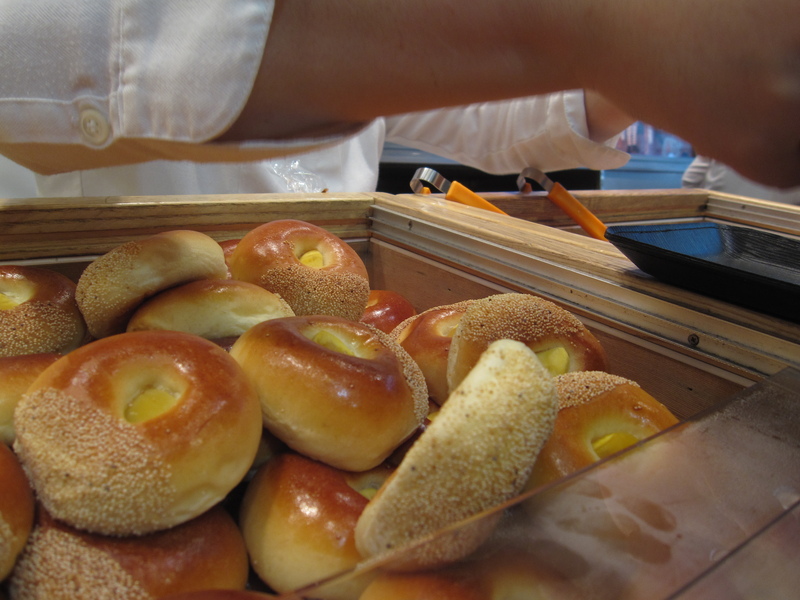 I was immediately drawn towards the crates holding these little round buns at the counter. They had dozens of different flavours with names that I could not decipher so I just bought the ones everyone else were picking. Microwaved them for breakfast the next day and they tasted fantastic. 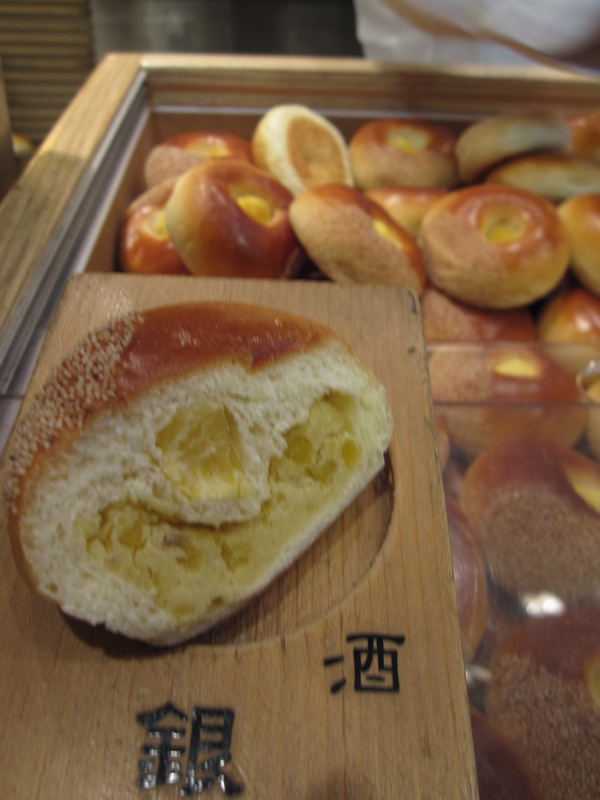 It has been months but I still vividly remember the one which had all sorts of beans that I never saw in my life studded in the soft fragrant bun itself. Before I left I did some research and stumbled upon Chubby Hubby’s Blog. 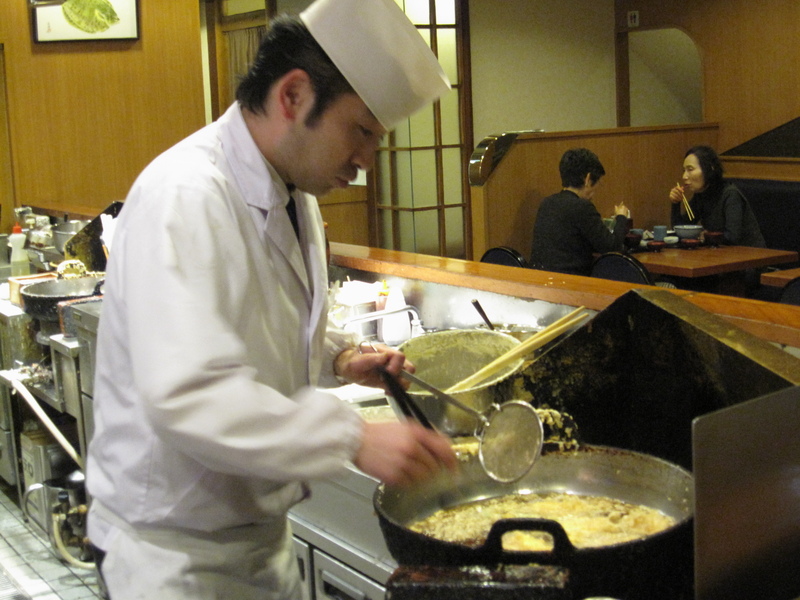 He had compiled an awesome list of must-tries in Tokyo which turned out really helpful. 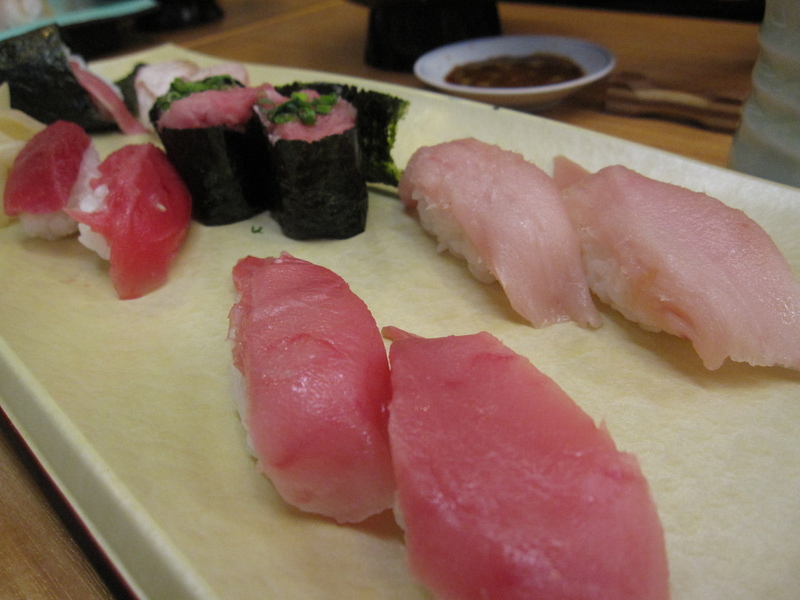 When we were at Tsukiji Market I vaguely remembered the name of the restaurant he recommended but since we didn’t even know how to read road signs (and there were not many to begin with) I wasn’t very optimistic about finding Sushizanmai. 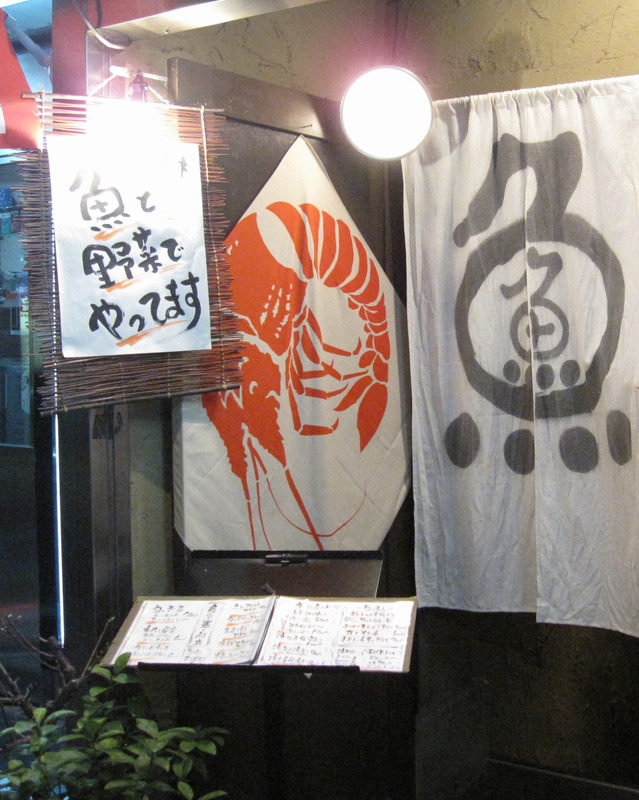 But it must have been fate because as we walked aimlessly, I suddenly saw the sign from afar! 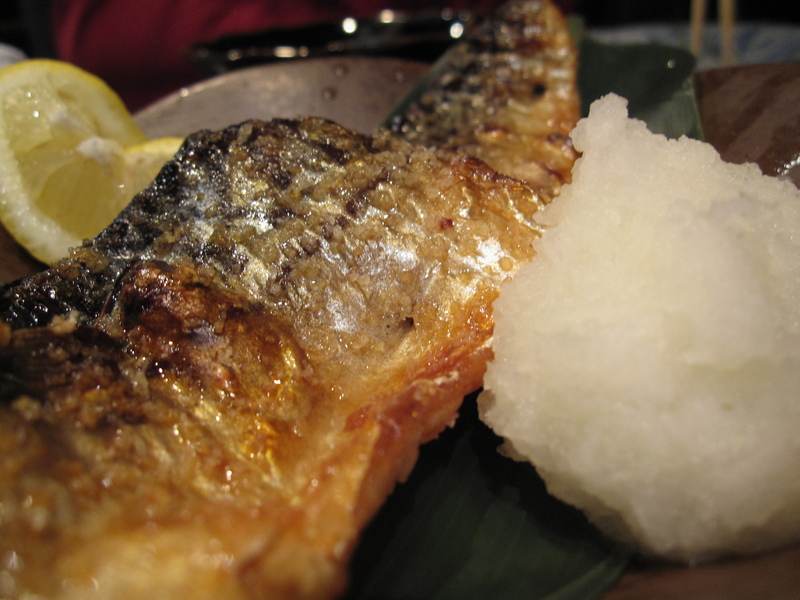 The raw ingredients were fresh with that soft and melt-in-the-mouth texture. 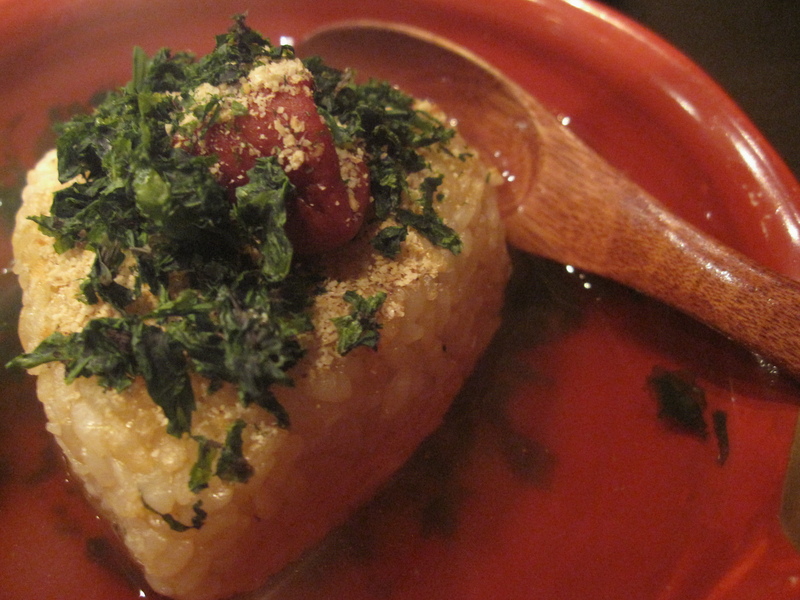 Rice was vinegared perfectly, each grain toothsome, not over or under-cooked. 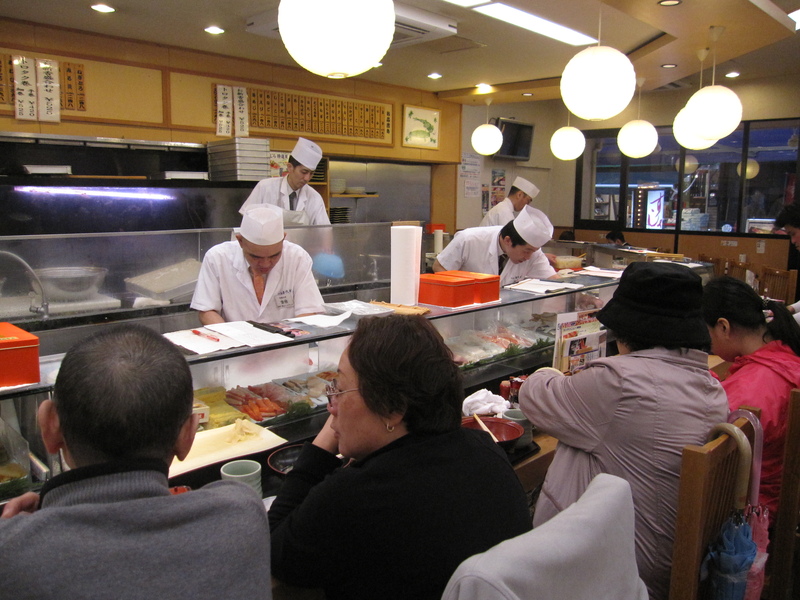 The best part was watching the chefs and their nifty hands, moving in a blur as they press and nudge the nigiri into shape. 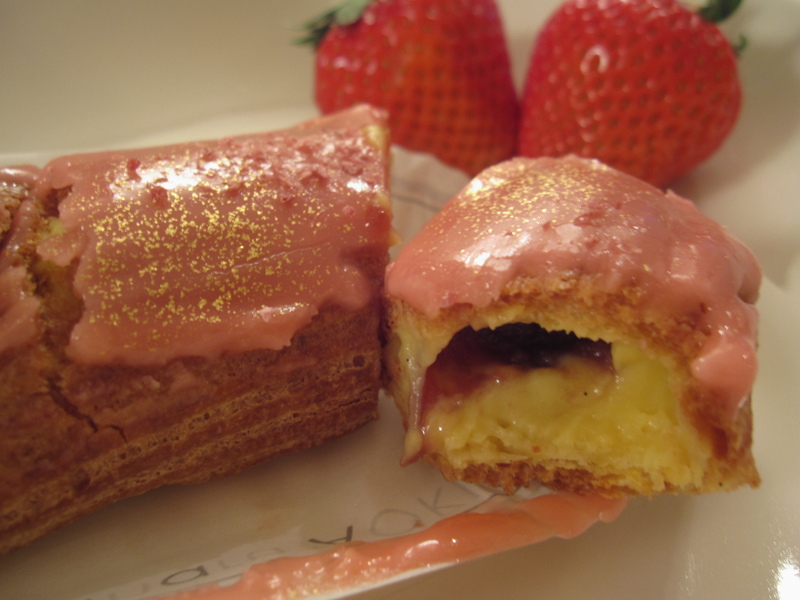 And I think I’ve had the best eclair in the world from Sadaharu Aoki, also recommended by Chubby Hubby. 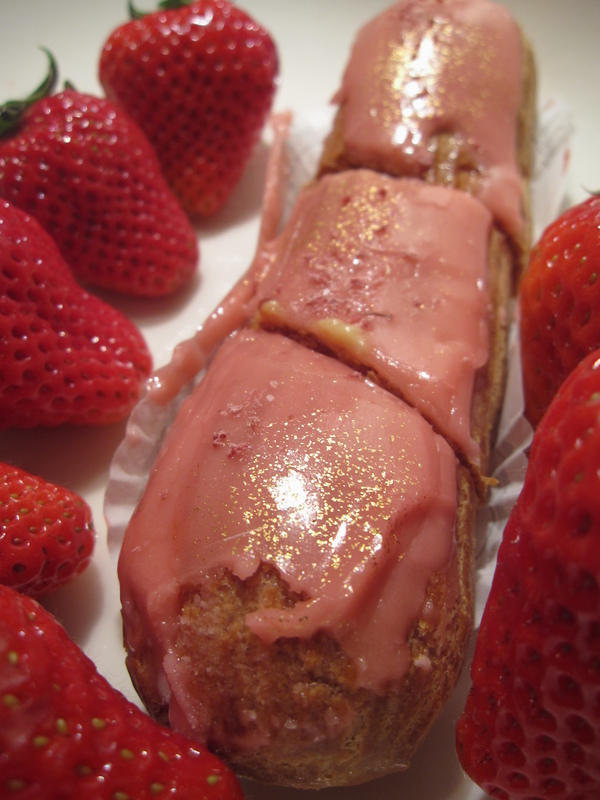 This sakura flavoured eclair was spilling its sakura jam and custard as I sliced it into thirds. 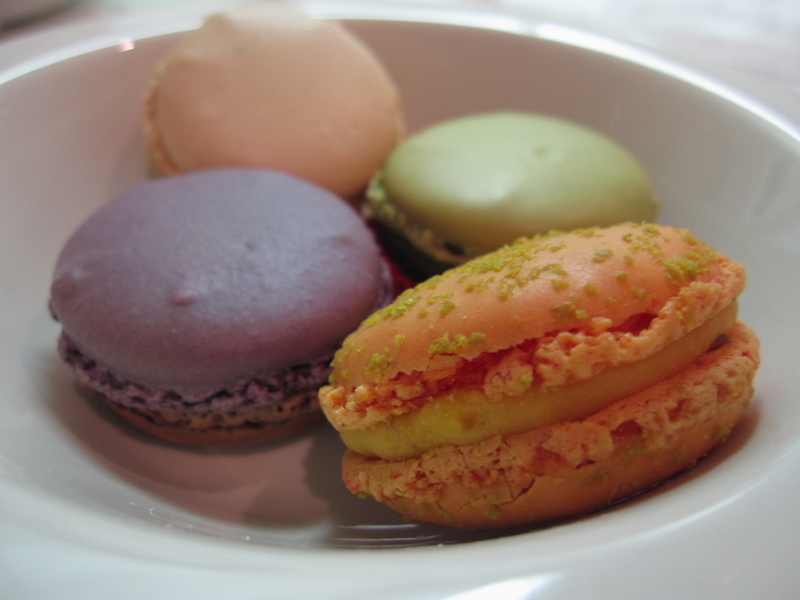 The choux pastry itself was crisp (not soggy) on the outside with a chewy inner layer. After eating my share I was smacking myself on the head for not buying more! 3. Follow your nose: Sniff it out! The heady buttery aroma wafted into my nose just as I was snapping a close-up shot of a sakura. It didn’t take very long for me to rush right in front of the van, smile and say “ichi” to the smiley young lady still wearing her baking gloves. It was hot out of the oven so the lady picked it up gingerly using a paper bag and handed it to me. It was not totally in the paper bag when I grabbed it. I gasped, the old ladies around me who were still deliberating whether or not to buy gasped, the seller gasped and there was this moment where everyone just froze. Thankfully, my fingers managed to hang on to it before it totally fell out! There was a sigh of relief and a contented smile as I sunk my teeth into the buttery sugary top flavoured with melon essence. Mum just came back from tokyo so she knew the Ginza area (where she last stayed) pretty well. 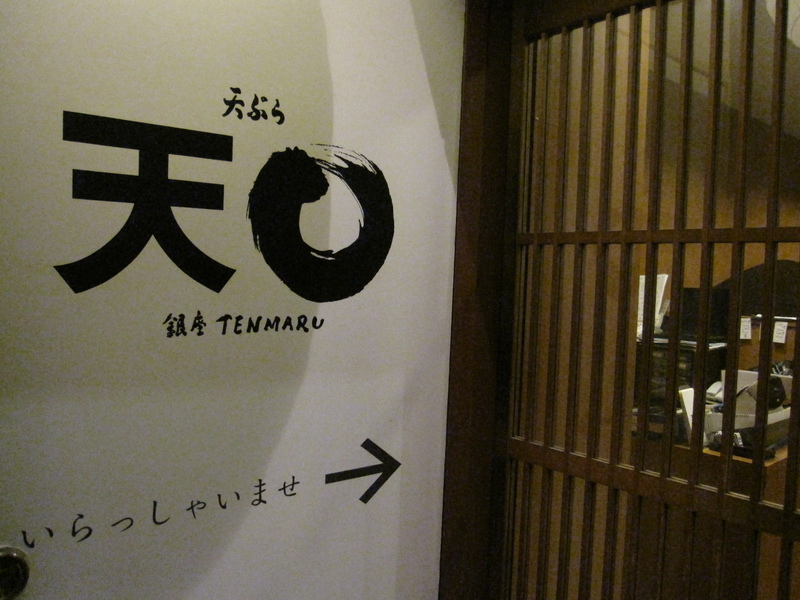 After walking and walking trying to find the citibank logo which was the only thing she remembered, we finally found the mysterious underground staircase that led to Tenmaru, a shop that serves tempura. Frying didn’t seem like such a frightening thing afterall. There was no spluttering of oil whatsoever, just gurgling as the chef dipped the ingredient dripping with batter into the pot of oil. 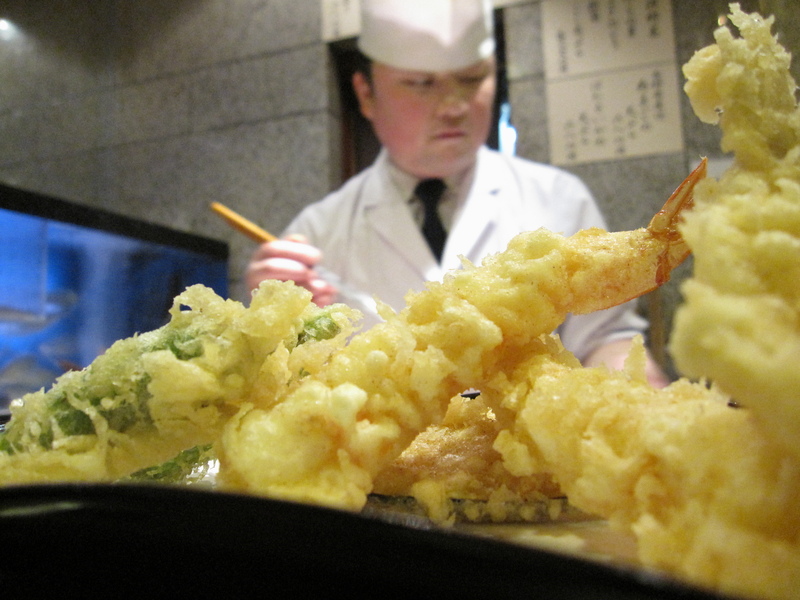 A few moments later, it was served right in front of us with a bowl of rice/ cold soba. Crispy crackly outer layer without the disconcerting coil residue was perfect with the cold soba that I chose. If you ask me to go back now, I can’t even pinpoint the place. But we all had a good feeling that we were going to find some traditional food down there so we went down the narrow staircase that led into the sake bar anyway. 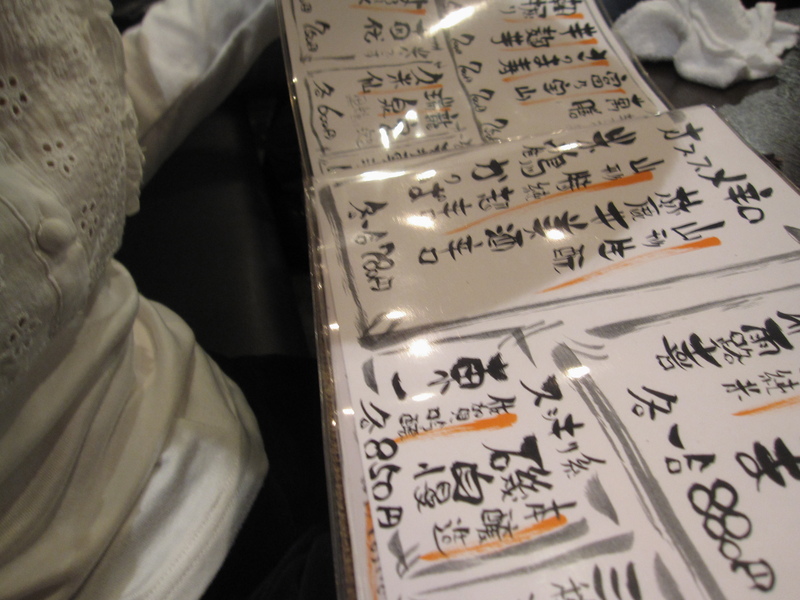 The menu was japanese and the waitress spoke only japanese- maybe it was not such a wise choice afterall. Fortunately, there was a group of Japanese sitting next to us who studied in America. Dad told them to just help us order anything that was good in that place. These were some of the items we ordered. 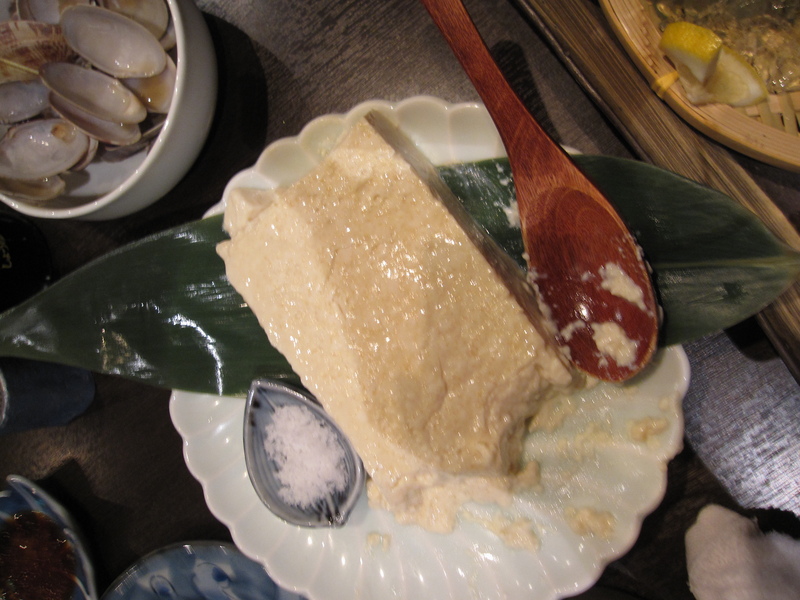 The favourites would have to be the onigiri in a tasty soup ( same as the mui fan concept but calrose rice and the little piece of preserved plum adorning the top gave that Japanese twist) and the nutty homemade cold tofu which still is the best tofu I have ever had in my life. 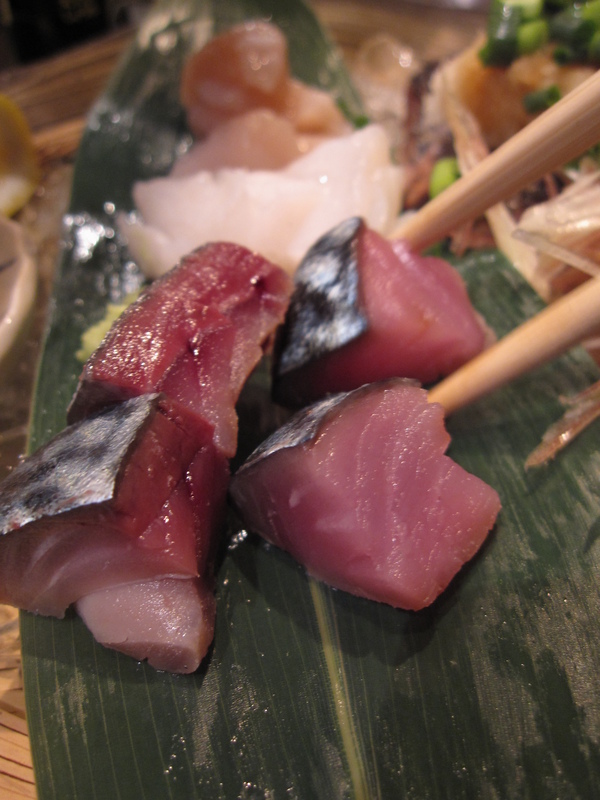 I would say the most important bit about finding good eats is that you must be willing to try something new. Dive head-on into the culture there and you will definitely enjoy everything you find!